The Consortium for Advanced Simulation of Light Water Reactors (CASL) is the first Energy Innovation Hub created by the US Department of Energy in 2010. Its primary goal is to develop modeling and simulation capabilities in support of the nuclear power industries' objectives of reducing the cost of electrical energy generation by increased power uprates, extended fuel discharge burnups, and increased plant lifetime. In order to achieve this, CASL is developing the Virtual Environment for Reactor Applications (VERA) that includes multiphysics coupling of neutronics, thermal-hydraulics, fuel thermal-mechanical performance, and coolant chemistry. This presentation will discuss VERA development and provide an overview results from VERA for the modeling of the Tennessee Valley Authority Watts Bar Unit 1 reactor and the Westinghouse AP1000®. Dr. Jess Gehin is currently the Reactor Technology R&D Integration Lead in the Reactor and Nuclear Systems Division at Oak Ridge National Laboratory. He also leads the Physics Integration Focus Area for the Consortium for Advanced Modeling and Simulation of Light Water Reactors as well as being engaged in additional programmatic areas related to advanced nuclear fuel cycles and advanced reactors. His primary areas of expertise are nuclear reactor physics and reactor and fuel cycle technology. 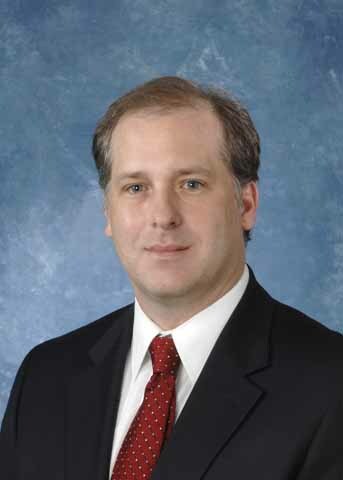 From 2003 to 2008 Dr. Gehin served as the leader of the ORNL Reactor Analysis Group with projects sponsored primarily by the Department of Energy office of Nuclear Energy, Nuclear Regulatory Commission, National Nuclear Security Administration, Department of Homeland Security, and the Department of Defense. Prior to this position, Dr. Gehin was a Senior R&D staff member performing research primarily in the area of nuclear reactor physics working on projects such as the development of the Advanced Neutron Source Research Reactor, Fissile Material Disposition, and modeling of experiments in the High Flux Isotope Reactor. Dr. Gehin earned his B.S. degree in Nuclear Engineering in 1988 from Kansas State University and M.S. (1990) and Ph.D. (1992) degrees in Nuclear Engineering from the Massachusetts Institute of Technology. Dr. Gehin also holds the position of Joint Associate Professor in the Nuclear Engineering Department at the University of Tennessee.